Dark Souls 3 is soon going to receive its second DLC expansions, but those who have already purchased the Ashes of Ariandel DLC will also be able to enjoy some new content starting next week. A few hours ago, Bandai Namco confirmed that two new Dark Souls 3 PvP maps will be released on March 24th. These two maps are the Dragon Ruins, based on Archdragon Peak, and the Grand Roof, based on Lothric Castle. An even better multiplayer addition is coming on March 28th, as players will be able to stay on the same team in PvP while fighting random strangers. Some of the new content coming with The Ringed City DLC has also been shown recently. You can check out the Giant Door Shield, Lothric Banner, Lightning Arrow and Projected Heal Miracles, Ringed Knight Straight Sword, Dragon Shield in action right below. More Dark Souls 3 The Ringed City footage emerged online last week, showcasing an intense boss battle and more. As The Ringed City will be the final Dark Souls 3 expansion, we should expect the new enemies to be quite challenging. 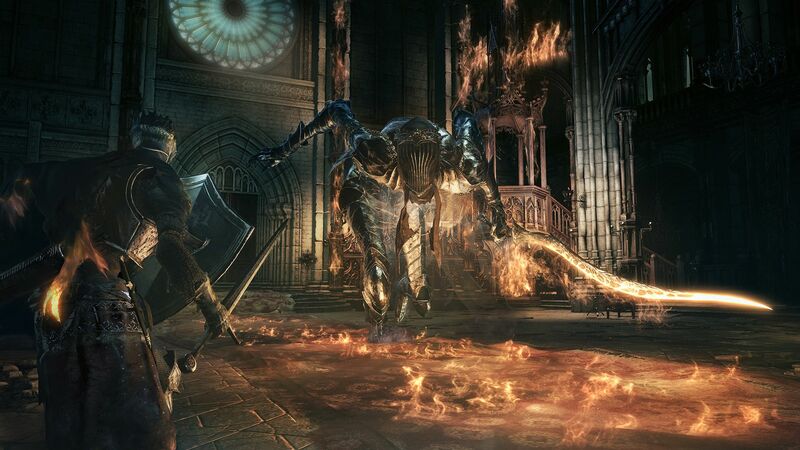 Dark Souls 3 is now available in all regions on PC, PlayStation 4 and Xbox One. The Ringed City DLC will launch on all formats on March 28th.